Oleg Skorobogatov, who led the accident investigation, said the sensor was damaged during final assembly at the Baikonur Cosmodrome in Kazakhstan, adding the conclusion had been “proven and confirmed.” He did not say how the sensor was bent, only that it occurred during the rocket’s assembly. Soyuz rockets being prepared for upcoming flights will be inspected to make sure no similar problems exist. A Soyuz rocket carrying a Russian Glonass navigation satellite is scheduled for launch Nov. 3 from the Plesetsk Cosmodrome north of Moscow and a another Soyuz, carrying the MetOp C weather satellite, is scheduled for launch Nov. 6 (EST) from Kourou, French Guiana. The Russians then plan to launch a Progress space station supply ship from Baikonur on Nov. 16, one day after NASA and Northrup Grumman launch a station-bound Cygnus cargo capsule from the Mid-Atlantic Regional Spaceport at Wallops Island, Virginia. The unpiloted Cygnus and Progress spacecraft will both reach the station on Nov. 18. Assuming those flights go well, the Russians will press ahead with plans to launch the next piloted Soyuz on Dec. 3, carrying commander Oleg Kononenko, Canadian astronaut David Saint-Jacques and NASA astronaut Anne McClain on a flight to the International Space Station. The space station’s current crew — Expedition 57 commander Alexander Gerst, NASA astronaut Serena Auñón-Chancellor and cosmonaut Sergey Prokopyev — originally planned to return to Earth on Dec. 13. They now plan to come home a week later, on Dec. 20. Before Prokopyev returns to Earth, he and Kononenko plan to carry out a spacewalk Dec. 11 to inspect the Soyuz MS-09 spacecraft that carried the Gerst crew into orbit June 6. A small leak in the spacecraft’s upper habitation module was found and fixed in August and Russian engineers want to find out how extensive the damage might have been. 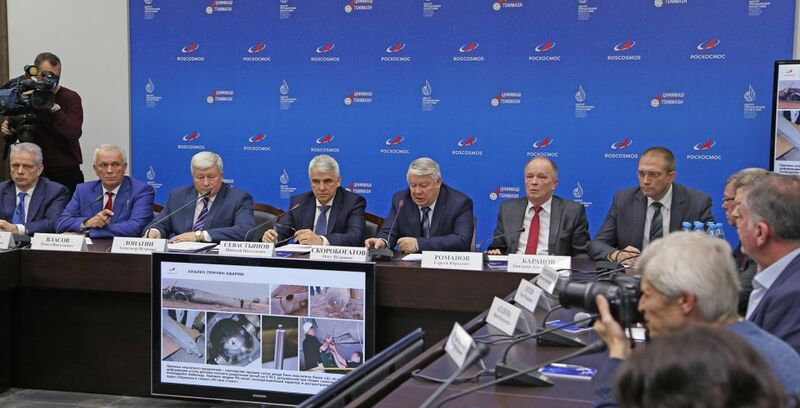 They also want to learn more about whether it was caused by a deliberate act at some point during the spacecraft’s processing, as suggested at one point by Dmitry Rogozin, head of the Russian space agency Roscosmos. 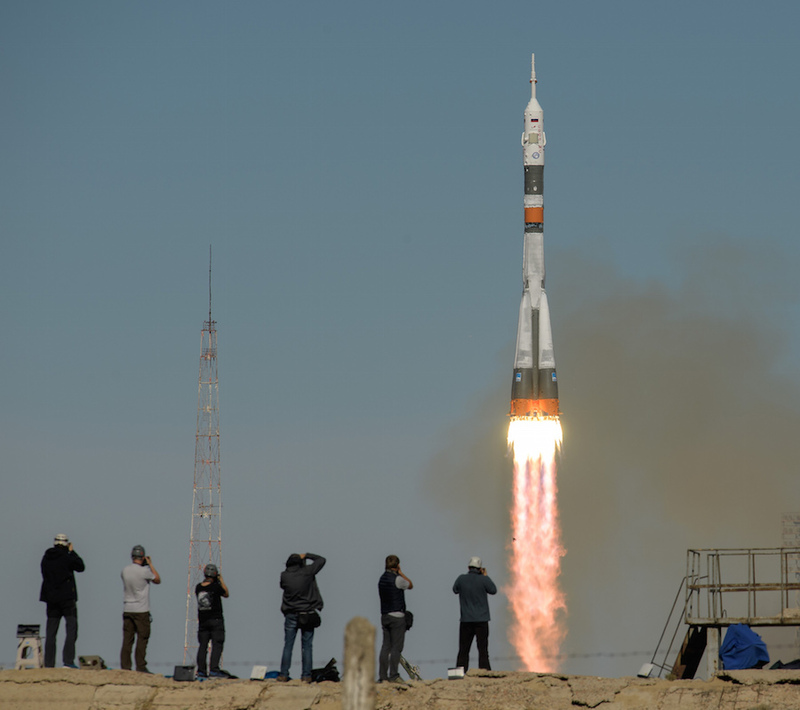 The Oct. 11 launch abort was the first such mishap for the normally reliable Soyuz rocket since September 1983, when two cosmonauts narrowly escaped a launch pad explosion. The only other Soyuz launch abort occurred in April 1975 when two other cosmonauts were forced to make an emergency landing after a different sort of stage separation problem. Given the long history of the rocket and its systems, analysis of telemetry and examination of wreckage, Russian investigators were able to quickly identify what went wrong in the most recent mishap. During a news conference in Moscow Thursday, dramatic launch video was released showing how the Soyuz FG’s central second stage quickly lost control after one of the rocket’s four strap-on first-stage boosters crashed into the core. Soyuz MS-10 commander Alexey Ovchinin and NASA astronaut Nick Hague were slammed back in their seats as the spacecraft’s flight computer triggered an automatic abort, firing rockets that rapidly pulled the crew capsule away. Arcing over on a now-ballistic trajectory, the crew made a steeper-than-normal descent, enduring about seven times the normal force of gravity before landing safely about 250 miles downrange. Ovchinin returned to the Gagarin Cosmonaut Training Center in Star City near Moscow while Hague eventually flew home to the Johnson Space Center in Houston. 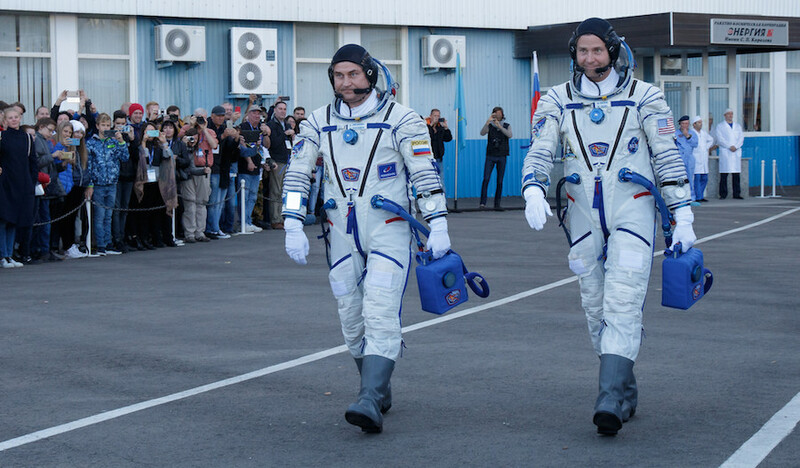 It is not known when they might get a second chance to complete their space station mission, but NASA Administrator Jim Bridenstine and Rogozin have both promised to work Ovchinin and Hague back into the crew rotation. Because of the launch abort, the Russians were forced to launch Kononenko’s crew ahead of schedule. By taking off in the first week of December, the new crew will have time to carry out an orderly handover before helping Gerst and his crewmates depart Dec. 20. The Gerst crew must leave by early January at the latest or their Soyuz MS-09 spacecraft will exceed its on-orbit certification. With the departure of Gerst, Auñón-Chancellor and Prokopyev, Kononenko’s crew will have the station to themselves until April when another Soyuz crew is scheduled for takeoff. The original flight plan called for Oleg Skripochka, NASA astronaut Christina Koch and a United Arab Emirates guest astronaut to take off on April 5. The UAE astronaut then would have returned to Earth about 10 days later with Hague and Ovchinin. Thanks to the launch abort, it’s not yet known who will fly up to the station next spring or how the flights will be sequenced. In the near term, NASA hopes to press ahead with launch of a Northrup Grumman Cygnus cargo ship atop an Antares booster from Virginia in mid November followed by launch of a SpaceX Dragon supply craft atop a Falcon 9 rocket from Cape Canaveral on Dec. 4, the day after Kononenko’s crew takes off from Baikonur. Two NASA spacewalks to install a second set of batteries for the space station’s solar power system are on hold. The Japanese HTV cargo ship that brought the batteries up to the station in September will return to Earth Nov. 7. It originally was to carry the old batteries away from the station, but they will have to be discarded later.